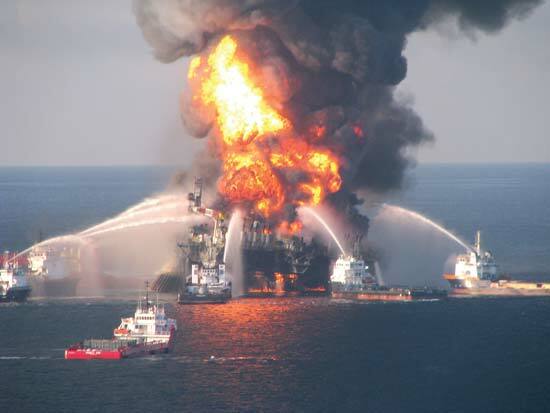 An oil spill in the Gulf of Mexico last week may be the largest in the U.S. since the 2010 blowout at BP Plc’s Macondo well that sank the Deepwater Horizon rig. The Delta House floating production facility about 40 miles (64 kilometers) southeast of Venice, Louisiana, released 7,950 to 9,350 barrels of oil from early Wednesday to Thursday morning, according to closely held operator LLOG Exploration Co. That would make it the largest spill in more than seven years, data from the U.S. Bureau of Safety and Environmental Enforcement show, even though it’s a fraction of the millions of barrels ejected in the 2010 incident. The LLOG spill was triggered by a fracture in a flowline jumper, Rick Fowler, the company’s vice president for deepwater projects, said in an email. That’s a short pipeline used to connect nearby subsea structures. Multiple barriers placed on either side of the fracture stopped the release, but the the flowline jumper hasn’t yet been repaired, Fowler said. Oil production from Delta House dropped to around 57,000 barrels of oil equivalent a day from more than 90,000 before the spill, he said. The subsea system affected by the fracture was shut in, though nearby connected systems weren’t. The fracture wasn’t caused by Hurricane Nate and there were no associated injuries, he said. BSEE, the federal agency which regulates offshore energy and mineral extraction, started a five-member panel investigation into the cause of the spill, according to an online statement. The members, including inspectors, engineers and accident investigators, will issue their findings and make recommendations. “This panel investigation is a critical step in ensuring BSEE determines the cause, or causes, of the incident and develops recommendations to prevent similar events from occurring in the future,” Lars Herbst, BSEE’s Gulf of Mexico region director, said in the statement. The Delta House platform, floating in 4,500 feet of water, came online in April 2015 with peak capacity of 100,000 barrels a day of oil and 240 million cubic feet a day of national gas. Its oil output enters the Heavy Lousiana Sweet crude pool. The 2010 blowout and explosion at the Deepwater Horizon ultradeep-sea drilling rig off the coast of Louisiana left 11 workers dead and set off the worst offshore oil spill in U.S. history. BSEE, an agency of the Interior Department, was established in the wake of the incident as part of reforms designed to separate federal regulatory responsibilities from lease sales and revenue generation.